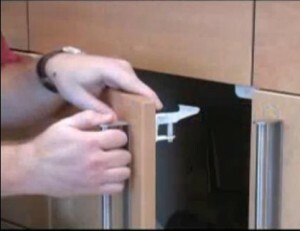 Here’s a list of cabinet door safety locks for your kitchen cabinets. These are the industry leaders in child proof cabinet locks for kitchen or bathroom cabinets. Most of these are very easy to install and provide an excellent amount of resistance from children who are trying to get into the cupboard storage areas.